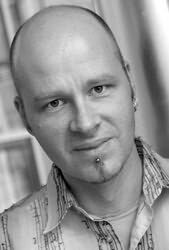 Kai Meyer is the author of many highly acclaimed and popular books for adults and young adults in his native Germany. Pirate Curse, the first book in the Wave Walkers trilogy, was praised by Booklist as "a fast-paced fantasy featuring plenty of action and suspense." The Water Mirror, the first book in the Dark Reflections Trilogy, was named a School Library Journal Best Book, a Locus Magazine Recommended Read, a Book Sense Children's Pick, and a New York Public Library Book for the Teen Age. It received starred reviews in both School Library Journal and Publishers Weekly. School Library Journal has called Meyer "an expert at creating fantastical worlds filled with unusual and exotic elements."